The origins of massage therapy can be traced back thousands of years, with references in ancient texts from China, Japan, India, Greece and beyond. Paintings depicting massage can also be found in ancient Egyptian tombs from around 2500 BC. But you don’t have to dig too deep to find the world’s first massage chair – or discover how far the modern massage chair experience has come. 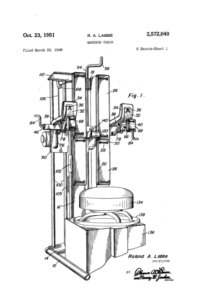 In 1948, Roland Labbe submitted US Patent US2572040A for a chair that consisted of a stool mounted on a pedestal. The chair had sliding arms that would stretch the users’ limbs as they sat on the stool. It would also vibrate, helping to relieve tension and stress. The massage chair was born. 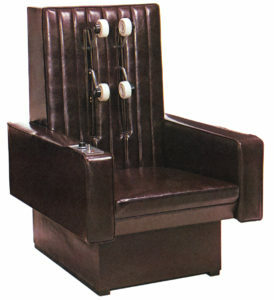 Since that original patent was filed, massage chairs have come a long way. The simple wheel crank system that moved the massage rollers along the back gave way to chairs using electric motors to automatically move the massage wheels. These early electric models started as simple 1D mechanisms, meaning the rollers only moved up and down your back in one plane of motion. From there, massage chairs evolved to offer 2D movements (up and down and left to right) and 3D, with rollers that can press into your muscles for a deeper, more satisfying massage. Other advancements have included adding air cells that inflate to knead your arms, legs, and feet as well as sophisticated programming to customize your massage. In other words, the massage chairs available today have about as much in common with US2572040A as today’s cars have with the Model-T.
Panasonic introduced its first massage chair in 1969. And we’ve been refining the technology ever since – always with the goal of closely replicating the movements of a skilled massage therapist’s hands to deliver the most soothing, rejuvenating experience. 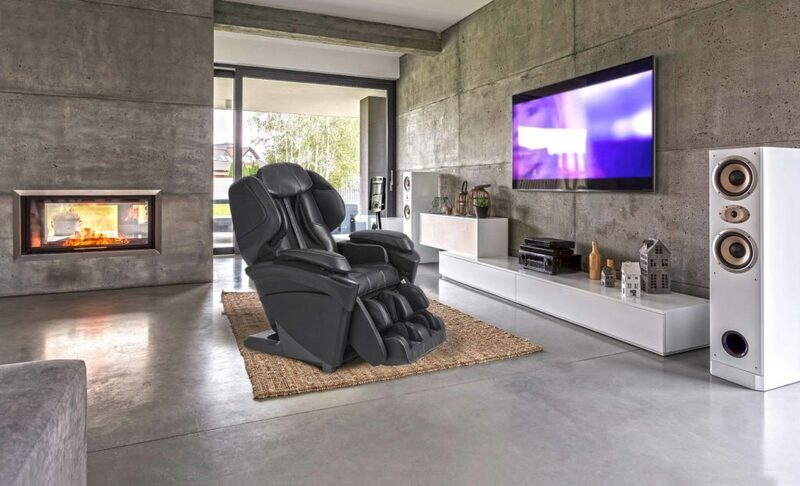 All that innovation has culminated in Panasonic’s most sophisticated massage chair yet, the MAJ7. It’s powered by the Real-Pro Ultra, the most advanced, full body massage mechanism we have ever developed. This system is so smart, it can even detect changes in the tension of your muscles and adapt the massage based on the force pushing back on the rollers. It also uses body scan technology that creates a virtual map of your back and aligns the massage to the contours of your spine. With all that plus infrared heated massage rollers to soothe aching muscles, the MAJ7 is taking the healing art of massage to places the ancients would’ve never dreamed.